Despite the fact that most Ukrainians are dissatisfied with the effect of the reforms conducted in the country, the positive changes have indeed taken place, and the Government should maintain the momentum over the next year. 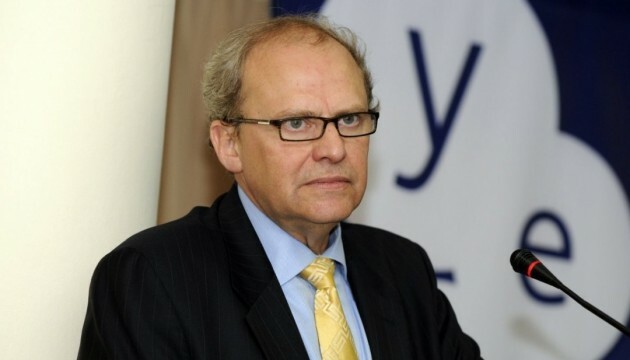 Such an assessment was given by renowned international economist Anders Aslund in his publication "Seven Key Reforms for Ukraine in 2016", published on the website of the Atlantic Council. "Admittedly, many Ukrainians repeat the mantra that no reforms have taken place, but that is not true. Hundreds of sensible reform laws have been adopted and their breadth is impressive," Aslund said after many days of stay in Ukraine. Thus, according to him, the energy reform has greatly reduced price discrepancies and limited the opportunities for corrupt arbitrage between state-controlled and free prices, while sharply reducing state subsidies. The budget has been brought close to balance, and major international financing together with debt restructuring was accomplished. Tax reform has been adopted. The banking system is being cleaned up as more than one-third of the banks have been closed. After a substantial devaluation, the exchange rate has stabilized and international currency reserves have increased considerably. Electronic procurement has been widely introduced. Some deregulation has occurred, the expert noted. "Yet Ukrainians are right to complain. Output has slumped, while prices have skyrocketed as the exchange rate has plummeted. The country is much poorer. The dominant concerns are that corruption has not diminished and public services have not improved," Aslund continued. Nevertheless, the previous achievements listed above indicate what remains to be done and what the country's priorities should be in 2016, the expert noted and suggested that Ukrainian authorities should focus on seven key reforms. 1. The main priority is reform of the prosecution and courts. Ukraine adopted a law on prosecution, but Prosecutor General Viktor Shokin managed to take control of the reform process, minimizing the change. “Shokin has to go and the reform of the prosecution needs to start anew under new leadership. Similarly, the country's 10,000 judges need to be lustrated and new judges appointed in a reformed court system,” Aslund noted. 2. The energy reform, initiated in 2015, should be completed in 2016. 3. Ukraine's 1,833 state-owned companies are a den of corruption. The vast majority, 1,600, are of little value just extracting subsidies from the state. They should be sold off at a regional level and the payments given to the regional governments to motivate them to a faster selloff. The top 100 state enterprises, mainly in energy and transportation, have real value and their privatization should be open to foreign bidders whenever possible. These sales must be transparent and competitive aiming both at high prices and sound restructuring. About 120 armament companies belong to Ukroboronprom and need to be considered a separate national security matter. For such reasons, Russian entities need to be blocked from participation in privatization and foreign entities should have transparent ultimate beneficiaries. 4. Ukraine requires profound civil service reform, which has been legislated and will come into force in the spring. It is vital that it is properly implemented. Salaries of civil servants must be raised so that they can live on their salaries. The vast administration of the cabinet of ministers of 700 people should be dismantled and replaced with a limited apparatus for coordination. 5. The budget deficit has been brought under control and the most corrupt expenditures have been eliminated, but Ukraine needs to reform the budget process to make it fully transparent. 6. Ukraine carried out some deregulation in 2015, but far too little. Many inspection agencies persist and should be closed. Ukraine could rise sharply on the World Bank's Ease of Doing Business Index, if it carried out possible deregulation. According to the experts, many other issues are also important, notably improvement of the health care system, but such reform requires more time. "Ukraine has reformed much in 2015, but the government needs to keep up the momentum to attain sound economic growth," Anders Aslund summed up.